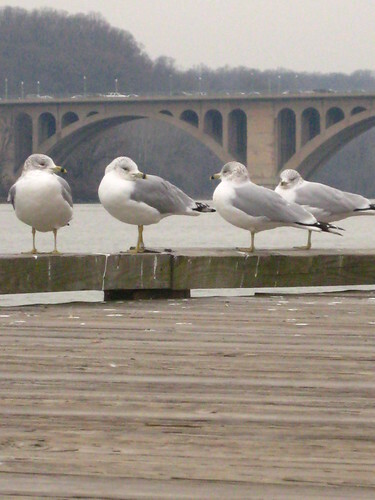 Seagulls at Washington Harbour by the Potomac River, backdropped by the Key Bridge on a cold, wintry morning. Next post: DC Made Me Liberal? So when is Jonathan Livingston going to show up?